Guest post by Abhinav Shashank, CEO, Innovaccer. Have you ever thought how giant enterprises like Facebook, Google and Microsoft have harnessed big data technology so spectacularly well? These consumer-centric industries are continuing to succeed at a global level. Do you know what they all have in common? APIs. Short for “application programming interfaces,” APIs are like connectors that allow you to access information on your application or software. It’s basically how two softwares talk. APIs are the not-so new big thing in the tech sphere and to make a headway into delivering top-notch quality care, it’s high time we embraced them for a better tomorrow. Given the complex nature of modern day healthcare data exchange, providers are themselves held back from tapping the full potential of the available data and utilizing it to drive the best possible outcomes. Problems arise in the very initial steps of care delivery. Accessing or exchanging the medical information of any patient who reaches a facility is a most basic requirement that should be fulfilled at the very outset of care. But, the slow and long-drawn fragmented process of data exchange, siloed nature of data sets and lack of interoperability hinders a smooth transfer of information from one provider to another. How then is it possible to carry out comprehensive care for a patient with only partial information about the patient? How about if, the traditional and complex process of data exchange were to be replaced with a simpler, easier and faster technology. In a world where API is a reality, sluggish data integration and exchange ought to be passé. These efficient little elves (techie companies prefer to call them APIs) make things way simpler on the surface — quite literally! While using a low-maintenance infrastructure and only a few lines of code, these elves will open that door for you to be able to engage and interact with your patients at large. 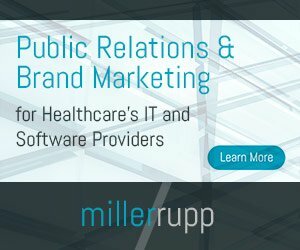 Why should healthcare take to APIs? It saves time and resources. Data is exchanged in real-time at faster pace. Its processing is autonomous and easy to manage. It makes information readily available on all devices, mobile or immobile. It allows for very little delay in receiving or extracting information. It facilitates seamless and secure data sharing. Keeping technicalities aside, let me tell you that standardization is simpler with APIs and that is a huge plus point because it’s easier to process information when everyone speaks the same language. True, EMRs also work through APIs, however, open APIs can enable you to use whatever type of data on whichever device. Wouldn’t it be great if you could have your lab results and prescriptions appear on your phone, your vitals clear on the screen and your appointments listed on your calendar? APIs enable this and a lot more. All that’s great. But what’s in it for the providers? By bringing APIs into the fold, providers can make use of interfaces that are uniquely designed for their systems, helping them attain better clinical decision making. They can use APIs to build their own custom apps and can have vital information about health conditions, medications, surgeries, and other details for use in their own applications or platforms. Most providers complain about how administrative processes take a major amount of time of their day and they can’t do what they really supposed to be doing- looking after the patients. APIs will shed the administrative workload so you can forget about writing queries for database because APIs makes accessing data way simpler. Alerts and notifications on phones, tablets etc. Besides, all systems would be updated after every process in the patient care delivery continuum. What this does is it not only improves patient care, but also leads to shared decision making between patients and physicians. Only when the patients and the providers are on the same page can the optimum care be delivered to the patient and we can actually move towards patient-centric care. We have come very far from the days of alchemists to multi-facility hospitals, from paper files to digitization of healthcare. APIs are just one of the many myriad ways to transform how we view healthcare and make it into the institution we all have dreamt about. A healthcare where there are virtually no gaps between patients and providers, where providers are not stuck with paperwork and stressed about manual data entry. A healthcare where a patient wakes up to the developments in his health and is encouraged to stay ahead of the curve. True patient-centric care can’t be achieved in a day, but we sure can take a leap towards it. All it needs is transformation.